Is your back giving you constant pain? Is your sore neck causing hindrance in daily life? 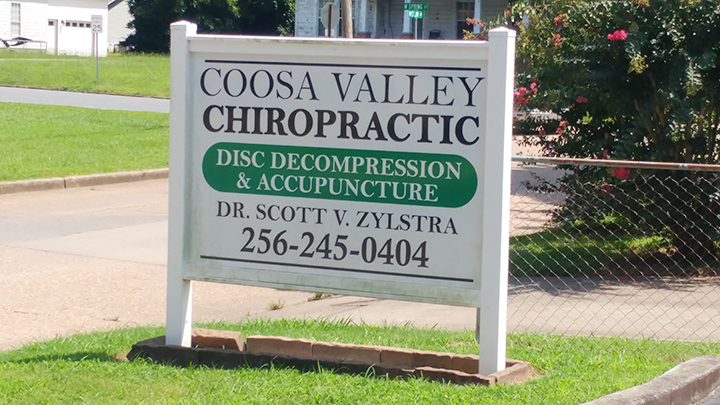 Welcome to Coosa Valley Chiropractic Center, where we offer nonsurgical alternative for back and neck treatment. Taking a different approach from conventional medicine, we focus on diagnosis and treatment of musculoskeletal problems. Serving Coosa Valley area for more than 21 years, we emphasize providing personal care to patients and meticulous attention to their needs. Apart from dedicated treatment, we impart knowledge regarding body care, which would help you in preventing similar ailments. We value our customers’ time and that’s why we are more than happy to file insurance for you, saving you from a lot of hassle. If you are tired of taking painkillers and are getting no respite from it at all, then avail yourself of our services designed to keep your comfort and recovery in mind. Rest assured you are in the capable hands of our chiropractors and staff who will help you in your effort to live a pain-free life. We provide proper care and non-medicinal treatment, so you can get back to your normal routine in the shortest possible time. So contact us today to schedule an appointment.